Zimbabwe's president on Tuesday called violence by security forces "unacceptable and a betrayal" and said it will be investigated after a week of economic crisis and crackdown in which activists said a dozen people were killed. President Emmerson Mnangagwa also called for a "national dialogue" among all political parties as well as religious and civic leaders, even as some of them on Tuesday said arrests had continued overnight. He spoke upon returning home after skipping a high-profile fundraising visit to the World Economic Forum in Davos, Switzerland to deal with the unrest. Zimbabwe's military was in the streets last week for the first time since post-election violence in August in which six people were killed. This time, people reported being hunted down in their homes by security forces and severely beaten. Doctors treated dozens of gunshot wounds. More than 600 people were arrested, with most denied bail. He defended, however, the dramatic fuel price increase that began the unrest by making gasoline in Zimbabwe the most expensive in the world. Authorities had said it was meant to ease the demand that had created extremely long lines at gas stations, with some families sleeping in their cars. The government-backed Zimbabwe Human Rights Commission, however, laid the blame on security forces, saying eight people had been killed and criticizing the use of the military and live ammunition. It said the government had not learned its lesson from the August crackdown, adding that it should "ensure compensation for those that have been victims of military and police brutality." Mnangagwa has previously said he is open to dialogue with the main opposition MDC party, which narrowly lost the July election and lost a court challenge alleging fraud. The president has dismissed the idea of forming a government of national unity, and his officials in recent days have said the opposition was trying to force talks by stirring up unrest. The opposition on Tuesday was skeptical of Mnangagwa's call for dialogue, describing it as a "gimmick to buy time." "Mnangagwa's overtures are always on Twitter. He knows where we are, yet he has chosen not to talk to us directly, he has never approached us, so this is another PR exercise," MDC spokesman Jacob Mafume said. "Why are soldiers still beating up people and the police arresting people if he is sincere?" 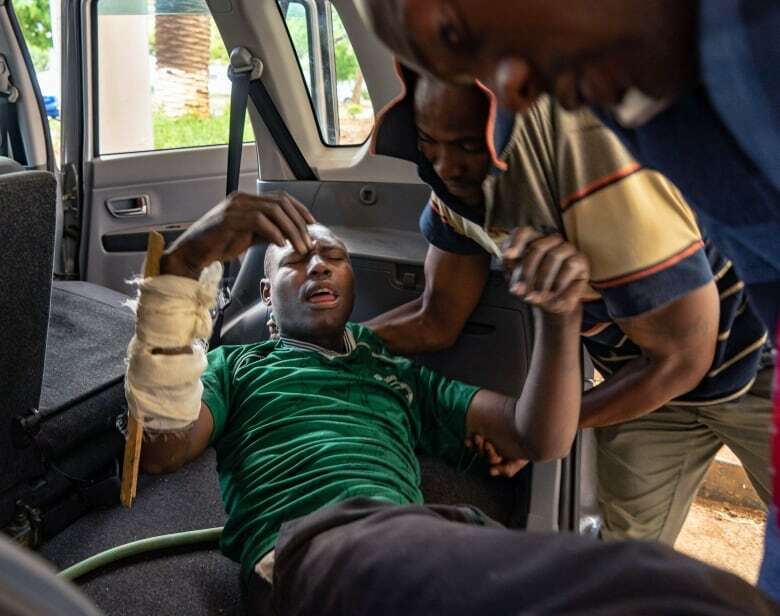 Kumbirai Mafunda, the group's spokesperson, told The Associated Press that lawyers will go to court to press for them to be allowed to resume treatment. At Davos, Mnangagwa had planned to appeal for foreign investment and loans but faced a more difficult reception than the one a year ago, when optimism was relatively high about a "new Zimbabwe." 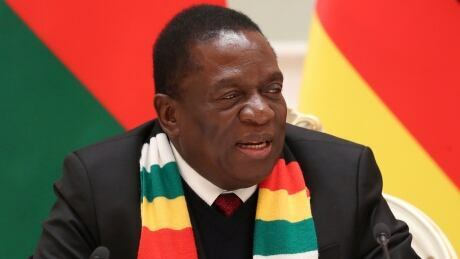 Indicating the severity of the economic crisis, neighbouring South Africa has confirmed it recently turned down Mnangagwa's request for a $1.2 billion US loan.